Duncan Keith, Dominik Kahun and Alex DeBrincat also scored for the Blackhawks, who have won four in a row. Dylan Strome contributed two assists. 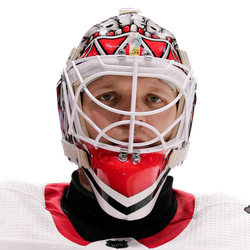 Corey Crawford saved 17 of the 18 shots he faced in the Chicago goal but left because of illness after the second period. Collin Delia took over for the third and made 27 saves. 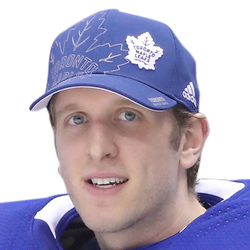 Garret Sparks replaced Frederik Andersen in the Toronto goal at the start of the second period after the Blackhawks scored four first-period goals. Andersen, who also was replaced by Sparks during a 6-2 loss to the Tampa Bay Lightning on Monday, made 10 saves. Sparks stopped 24 of 25 shots. Keith scored his fifth goal this season at 3:19 of the first period when his slap shot from the left point was deflected by Nylander before trickling past Andersen. Perlini notched his 12th goal this season, and seventh in his past six games, beating a Maple Leaf before firing a wrist shot from the high slot at 12:55 of the first period. Following a Toronto turnover at the Chicago blue line, Kahun scored his 12th from the slot on a nifty pass from Patrick Kane at 17:13 of the first. Saad scored his 23rd of the season 1:33 later, switching to his backhand to tuck the puck home on a feed from Dylan Sikura. Chicago led 5-0 on DeBrincat's 38th goal when Perlini set him up in the slot at 12:32 of the second period. Johnsson scored his 20th this season on a tip-in of Rielly's shot from the left point at 18:27 of the second. With Delia sprawled to the side of the crease, Matthews converted a pass from Johnson for his 32nd goal at 7:57 of the third period. Rielly scored his 19th goal of the season at 10:55 of the third. With Sparks out for an extra attacker, Tavares scored his 39th goal at 18:29 of the third.